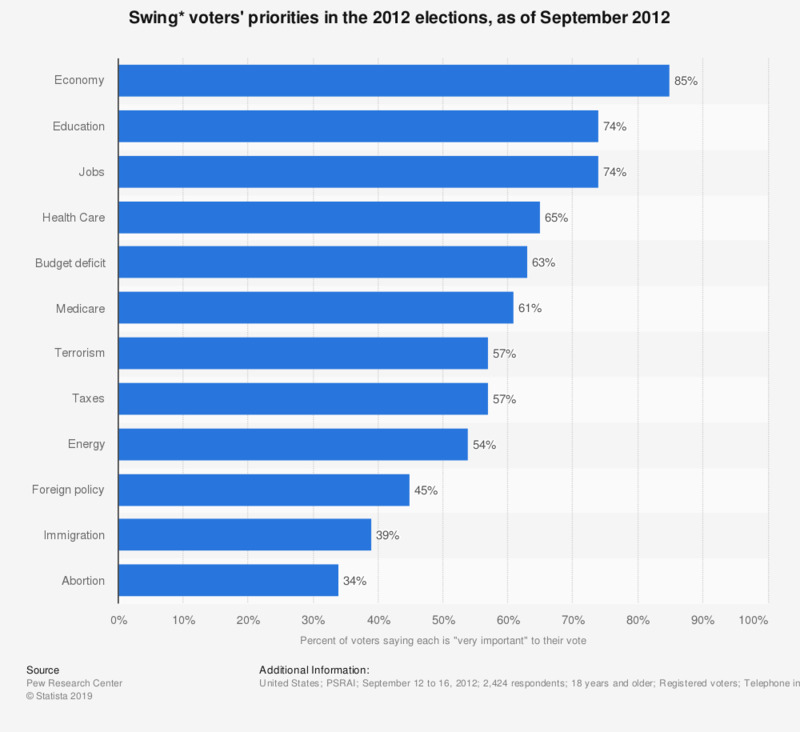 This survey shows the opinion of registered voters, who are yet undecided on who they'll vote for, or only lean towards a candidat, on the main issues in the 2012 elections in the United States. It was found that the economy is a very important issue regarding the vote of 85 percent of undecided registered voters. * Swing voters are definded as undecided voters, who only lean towards a candidate or say there is a chance they will change their mind.